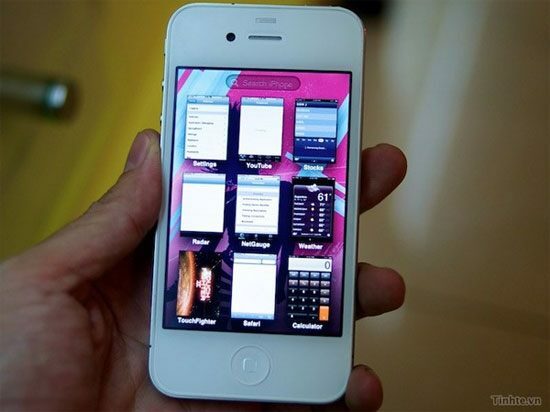 Well… it’s rumored that the iPhone 5 will be released sometime in the fall of 2011, and AT&T would be getting it first. Then, a few months later, Verizon will get it – which puts Verizon getting the iPhone 5 sometime in Q1 2012. He said that Apple is always VERY tight lipped about any and all of their products, but that from his information so far, this is the schedule Verizon is expecting. The sales rep didn’t have any comment about their being an iPhone 5 and an iPhone 5 Pro. I love the image above of this iPhone. No idea if it is an actual iPhone 5 or not, but the new iPhone dashboard is pretty cool looking. I like the thumbnail view of the app itself – almost like a Google Chrome most popular page. The other cool feature I’d love to see with the iPhone 5 is the arrangement of apps according to most popular or most frequently used – again, just like the Chrome browser arranges your most frequented pages first in their dashboard.